Apple has confirmed its acquisition of music recognition service, Shazam. The deal has been on the cards for a while - Apple actually announced the purchase back in December 2017 - but it's now official. It was one of the first apps on Apple's App Store at its inception, making the move from a service called through the phone to a standalone app. There are some potentially interesting moves Apple could now make with Shazam officially under its wing. Google's Pixel 2 and Pixel 2 XL handsets can display the current song playing in your environment (even if it's not from your phone) on the always-on ambient display, and it wouldn't surprise us if Apple offered something similar on iPhone. What does it mean for Apple? This purchase could improve Siri's song recognition feature, which already uses Shazam, with a deeper integration between the two. While those would be nice features to have, what Apple is more likely interested in is the machine learning capabilities of Shazam's platform. The service's impressive ability to quickly and accurately determine what song is playing with just a few seconds of audio means it has some serious smarts behind it. 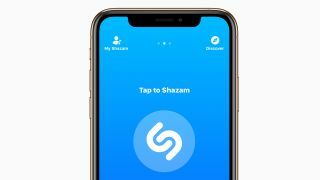 As Apple continues to build its own neural engine, the intelligence of Shazam could well be a useful addition to a much bigger picture for the firm. Launched in the UK in 2002, Shazam was originally known as '2580', as those were the four digits you needed to dial to make a call to the service which would listen for 30 seconds and then text you the song details. Fast forward to 2018 and Shazam is not only a popular smartphone app often requiring less than five seconds of audio to recognize a song, it's also built into a range of other devices and services, and is known the world over.